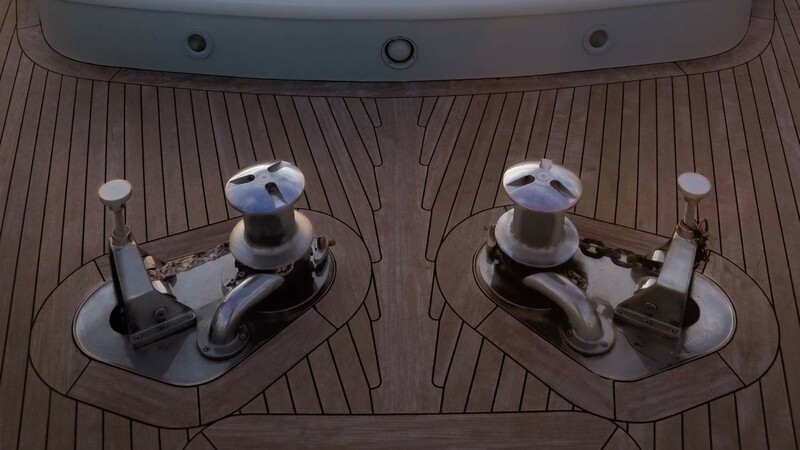 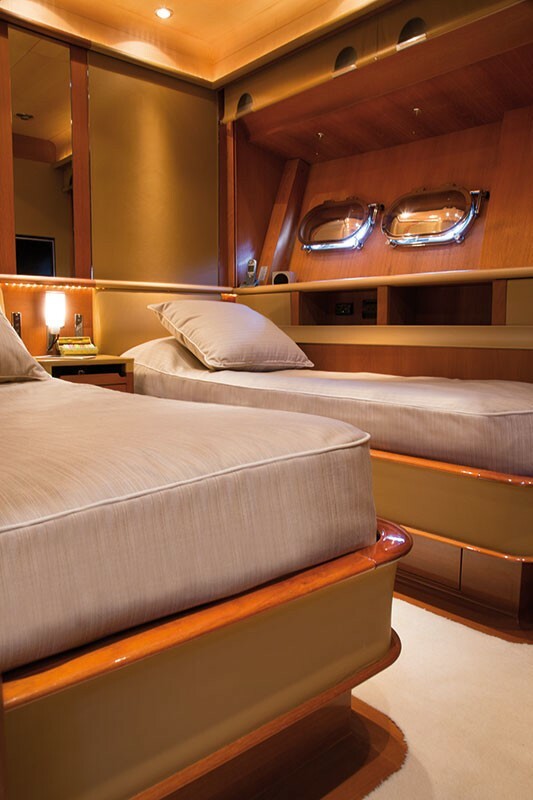 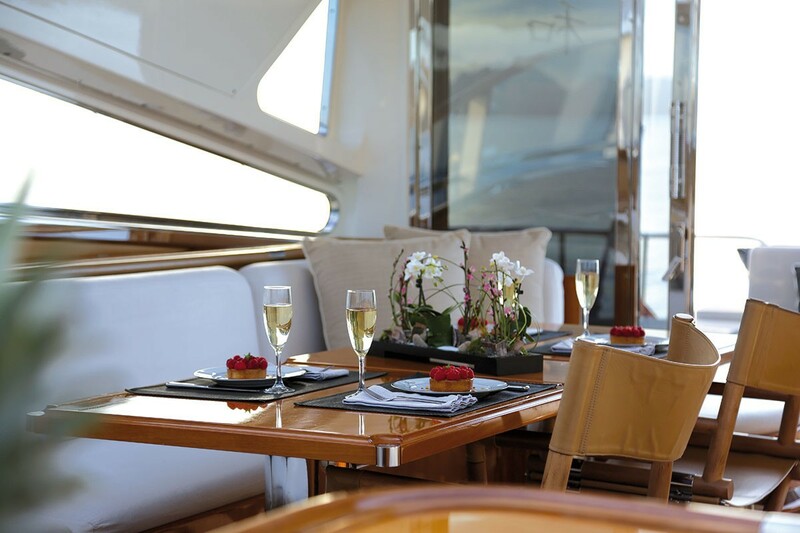 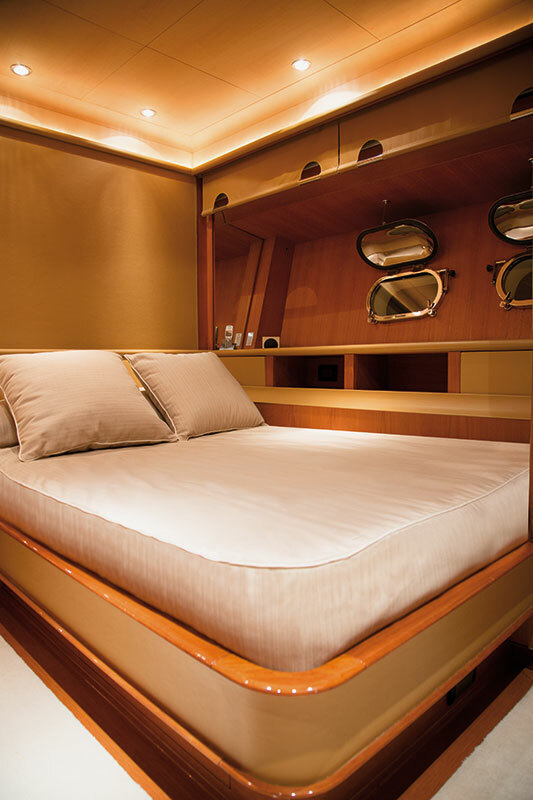 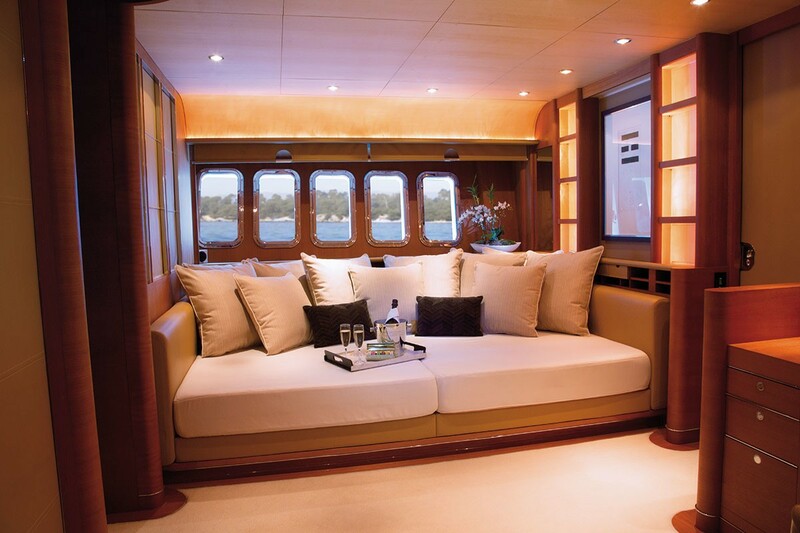 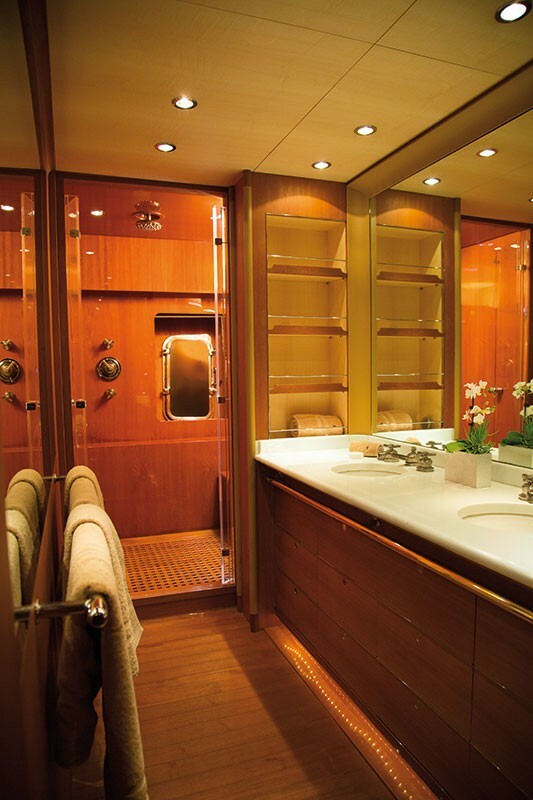 The Leopard 27 SERENITY ATLANTIC has beautiful contemporary interior by Remi Tessier. 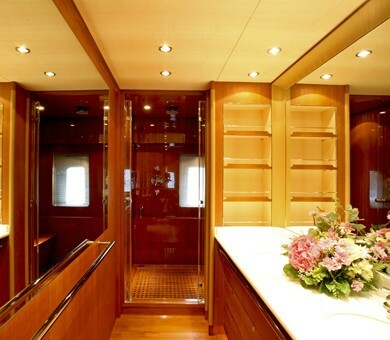 Her salon boasts a modern design and contemporary fittings with a comfortable lounging area to port and a dinette to starboard. 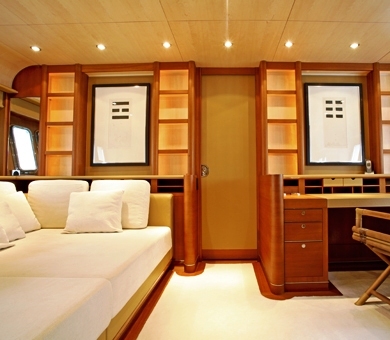 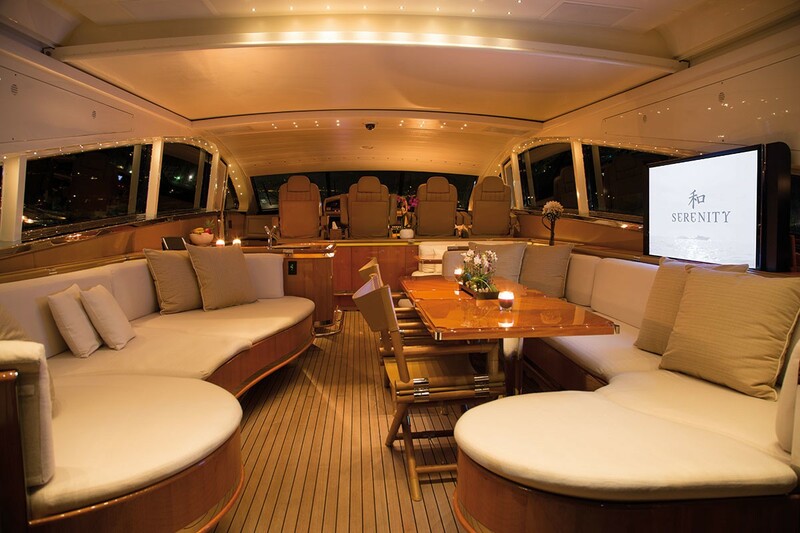 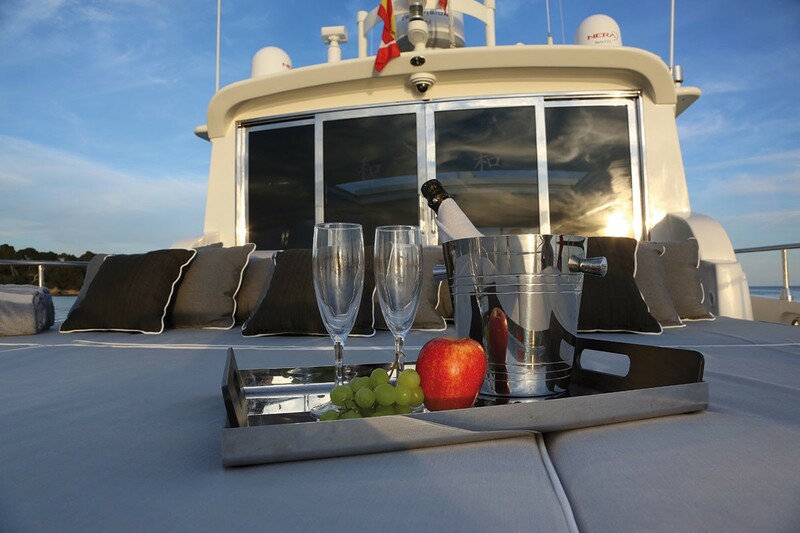 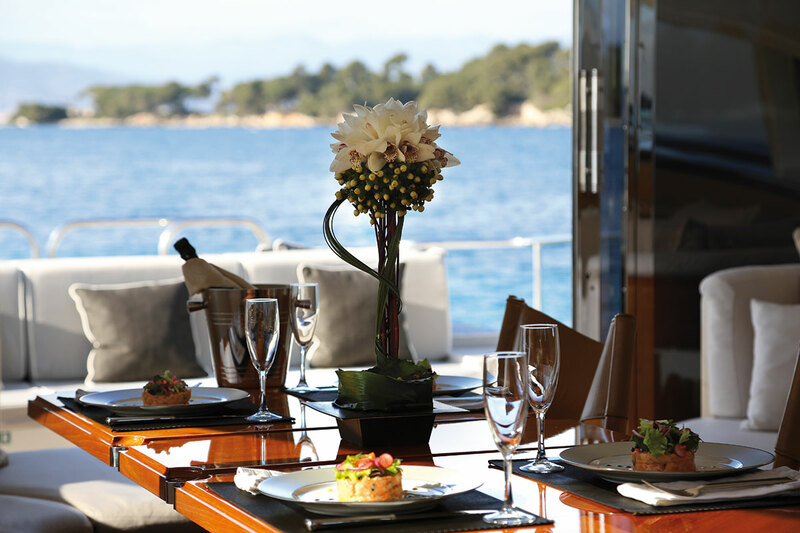 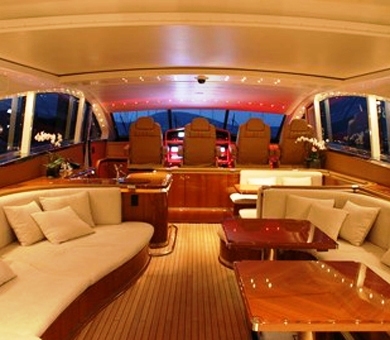 This area offers plenty of natural light as well as the opportunity to watch the yacht handled by the captain at speed. 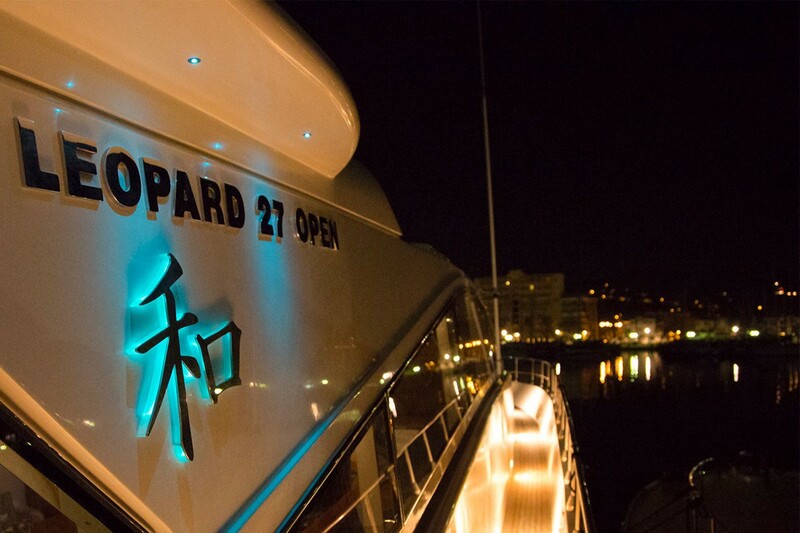 A special feature is the fibre optic lighting that illuminates this area at night. 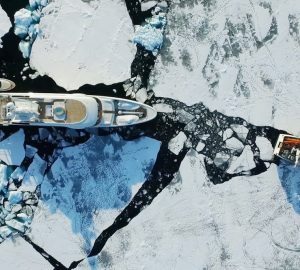 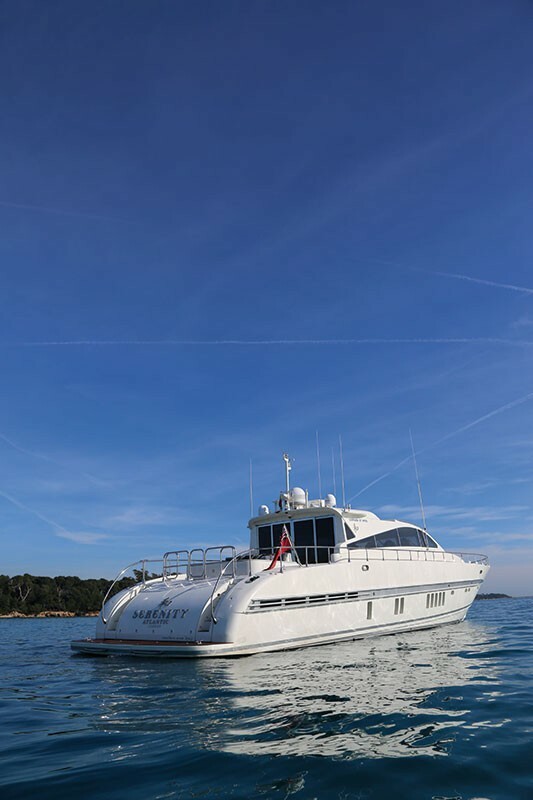 Motor yacht SERENITY ATLANTIC is a luxurious superyacht with plenty of exterior deck space for relaxing with sun beds bow and stern and an open air roof offering a sense of space as well as a great view. 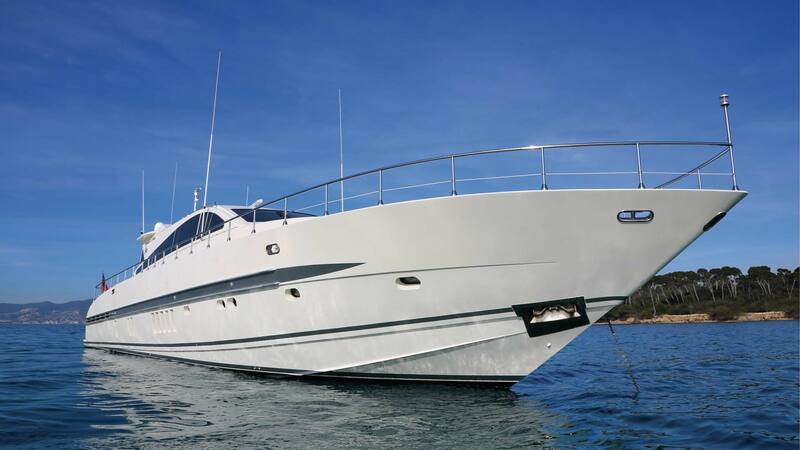 She has several water toys including a Novamarine RIB tender with 175cv Mercury jet drive. 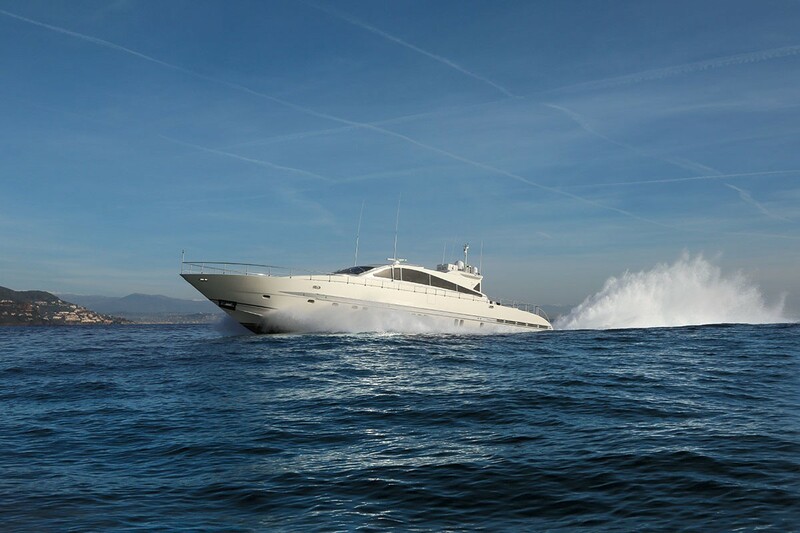 The Leopard 27 SERENITY ATLANTIC has 2 powerful 2,000 hp MTU engines driving Arneson surface drive propellers that create an impressive rooster tail at her cruising speed of 30 knots. 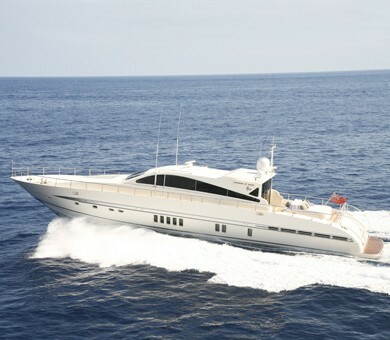 She has a maximum speed of 35 knots. 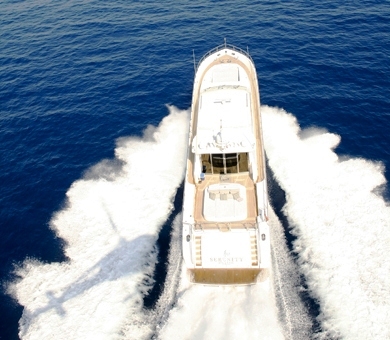 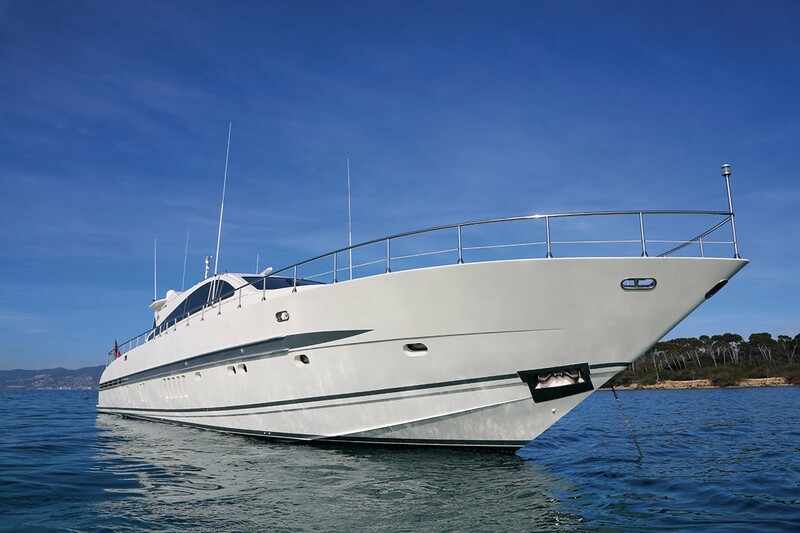 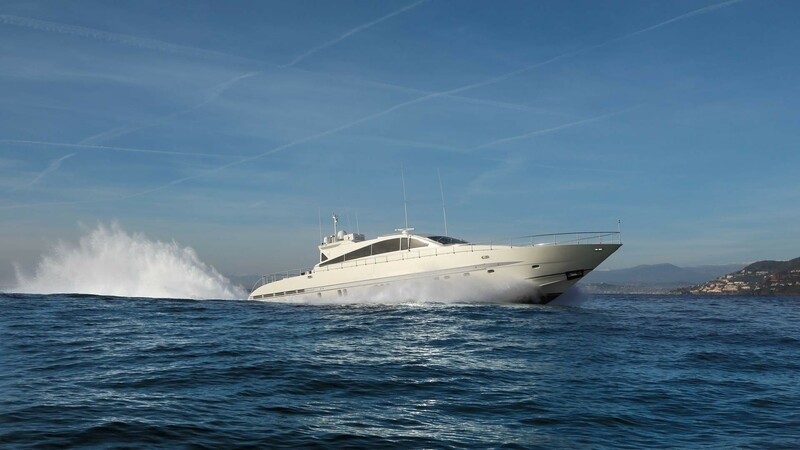 This speedy yacht has a professional crew of 3 and is based in the South of France ready for charters throughout the Western Mediterranean. 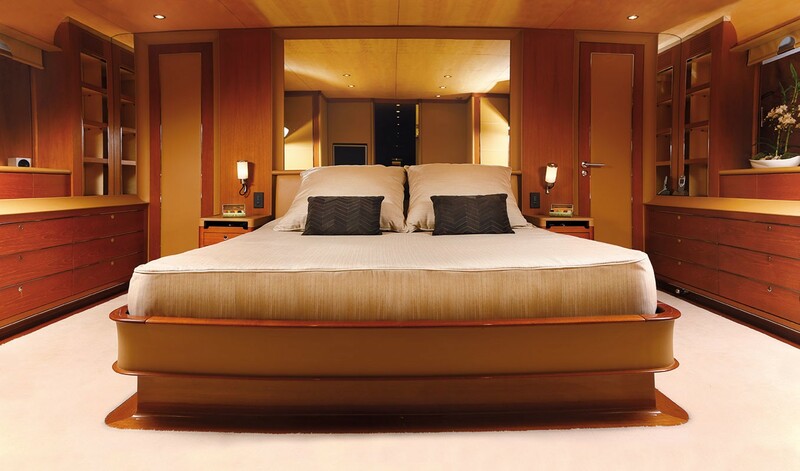 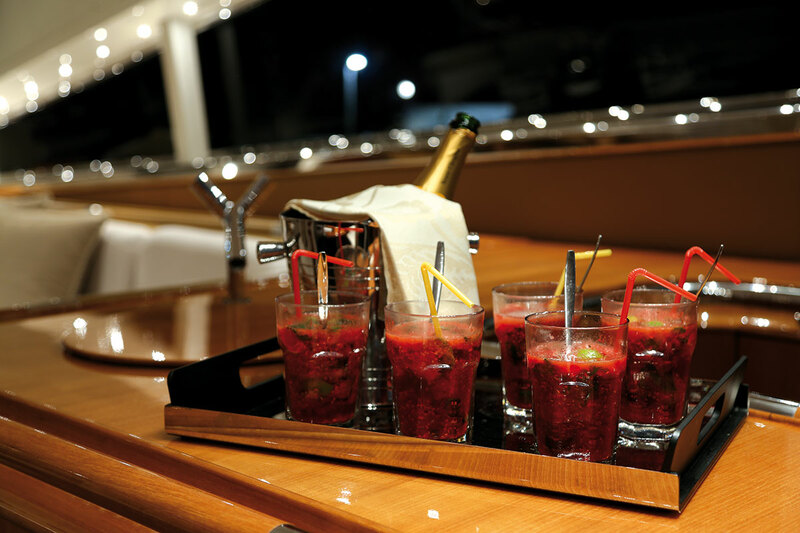 Motor yacht SERENITY ATLANTIC can accommodate up to 7 guests in 3 cabins including a spacious master a double and a twin cabin. 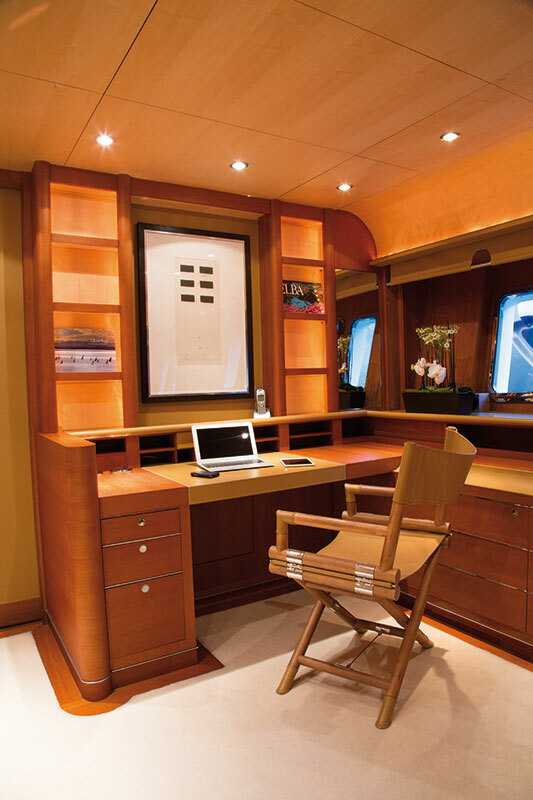 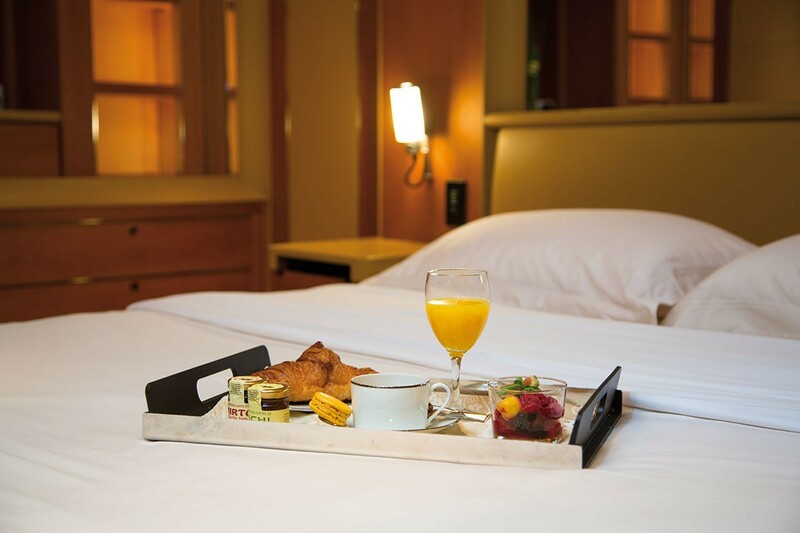 All cabins have en-suite facilities and a flat screen and TV/ DVD’s. 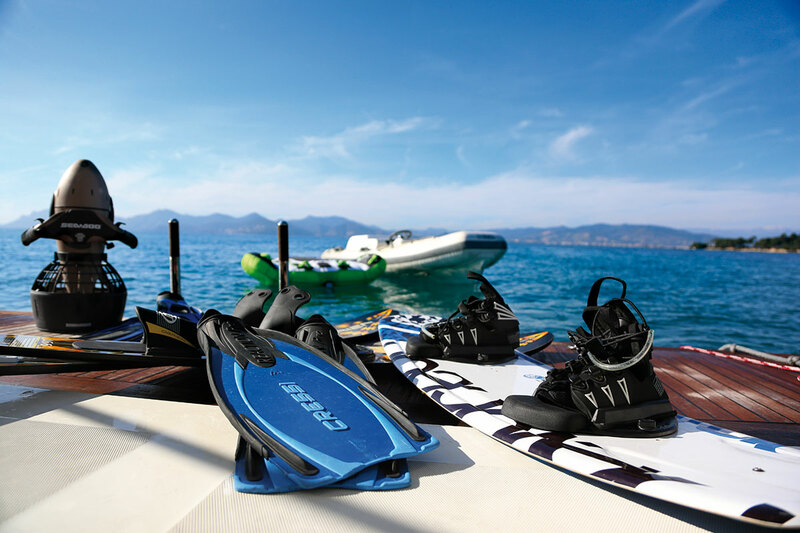 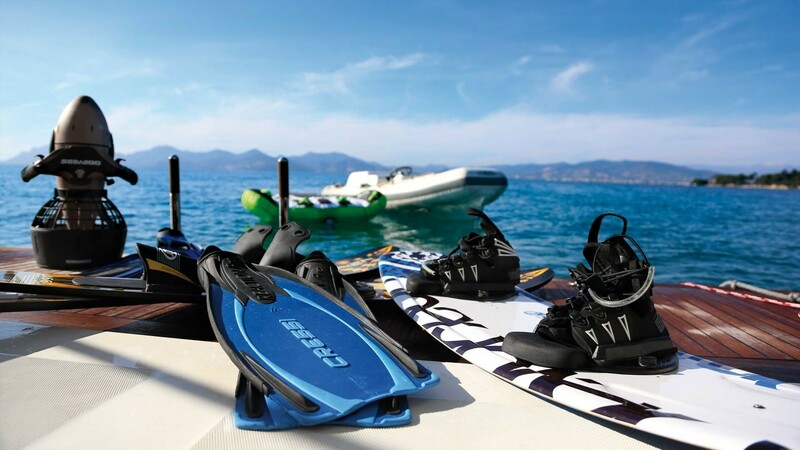 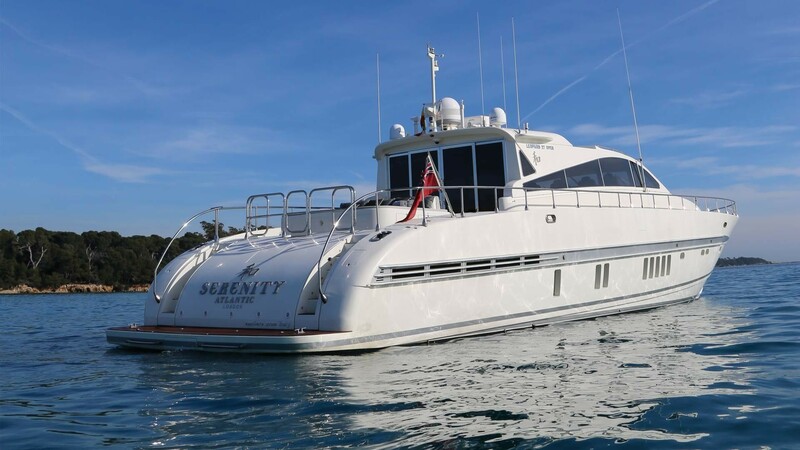 Motor yacht SERENITY ATLANTIC has the following Tenders & Toys onboard available for charter guests: a 4.00m Novamarine Rib with Mercury 175cv Jet drive, Water Skis, Seadoo and a Bicycle. 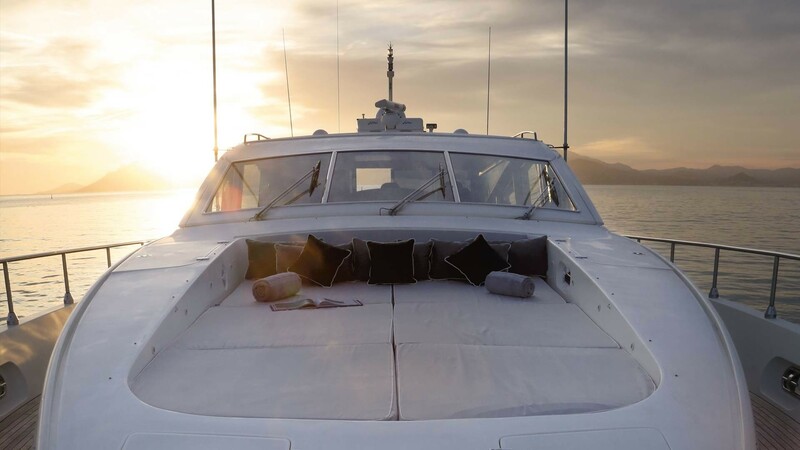 Communications include WI-FI 3G Internet, Audio Visual Equipment and Deck Facilities include a Crestron Entertainment System, Plasma Screens, DVD and Ipod docking stations in all cabins, Sky TV in saloon.